Hello Love! Thinking of You! Yay! Its Friday. Weekend is here. I am looking forward to it although it is going to be very busy and weather is rainy and windy. Atleast some work is going to get done. But today I have couple of card shares with you. 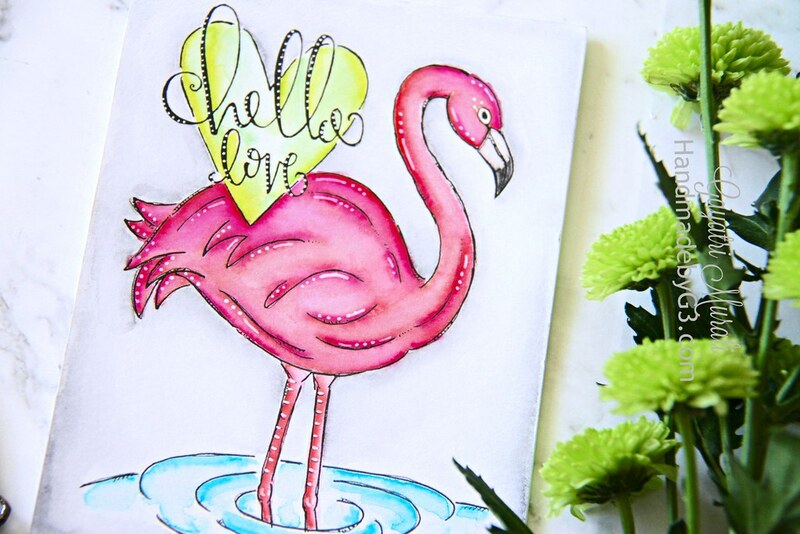 These two cards are made using Simon Says Stamp May card kit. Both the cards are watercolour panels that came with the card kit. I love the watercolour panels. It is very relaxing to colour them. I took them to my daughter’s choir practice and coloured them while she practiced. Then came home and made them into cards. I didn’t do much to them except add shimmer and glossy accents. The panel by themselves are gorgeous. Here are the cards. This card is simple. I coloured both the image and the background. Then used white gel pen to add highlights. 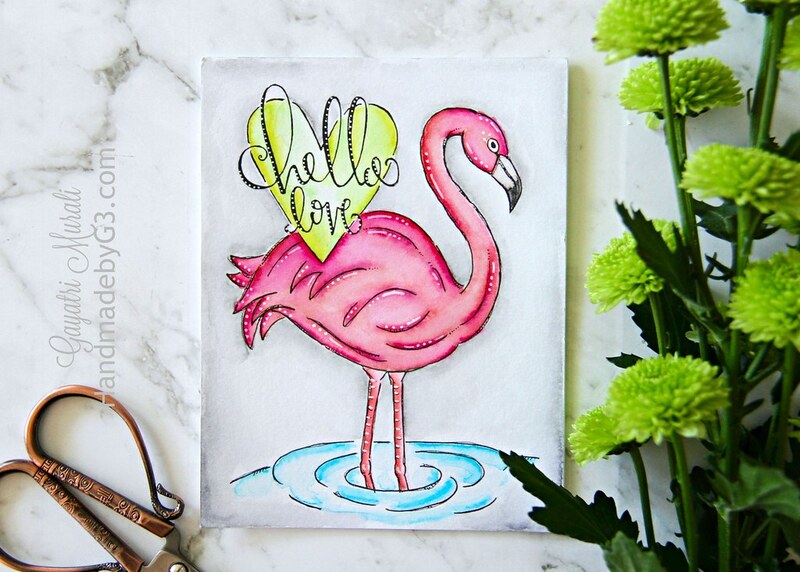 I also added shimmer to the flamingo. Here is my favourite of the two panels. 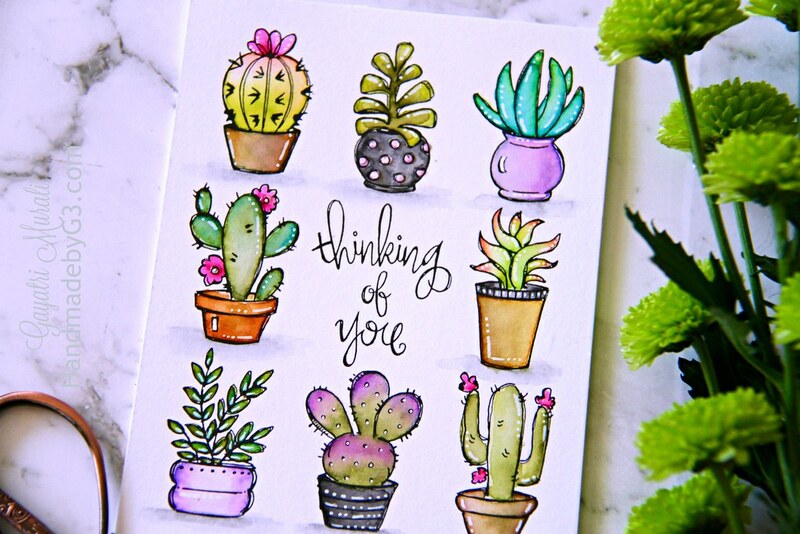 I love succulents. 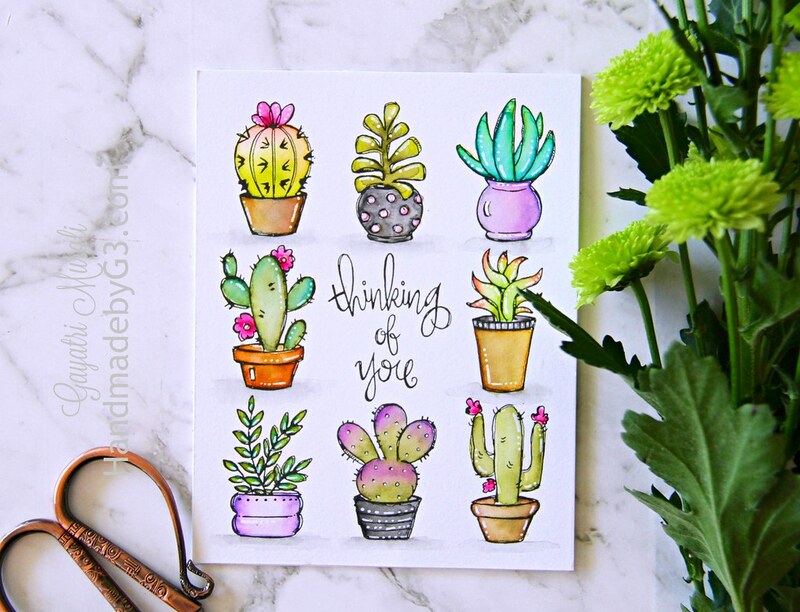 I googled to find out the colours of succulents because I didn’t want to colour them all green. Again I used the white gel pen to add highlights. I added glossy accents to the flowers and the polka dots on the pot. I also ground the pots. 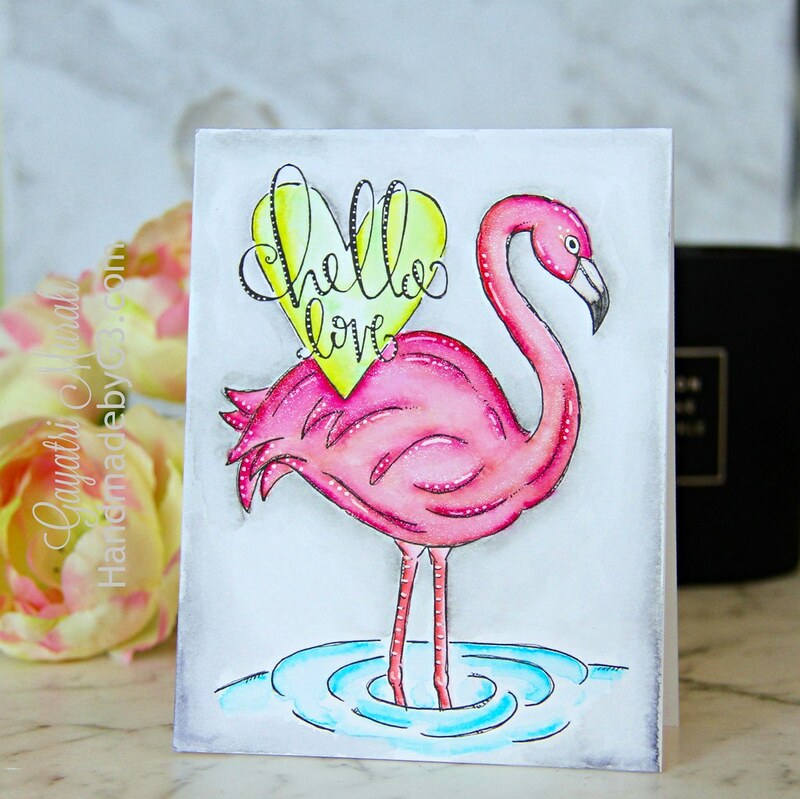 Easy and quick card to make. Here is a closeup. More watercolour panels are available at Simon Says Stamp Store. Hope you enjoyed seeing my cards today. Have a great weekend. 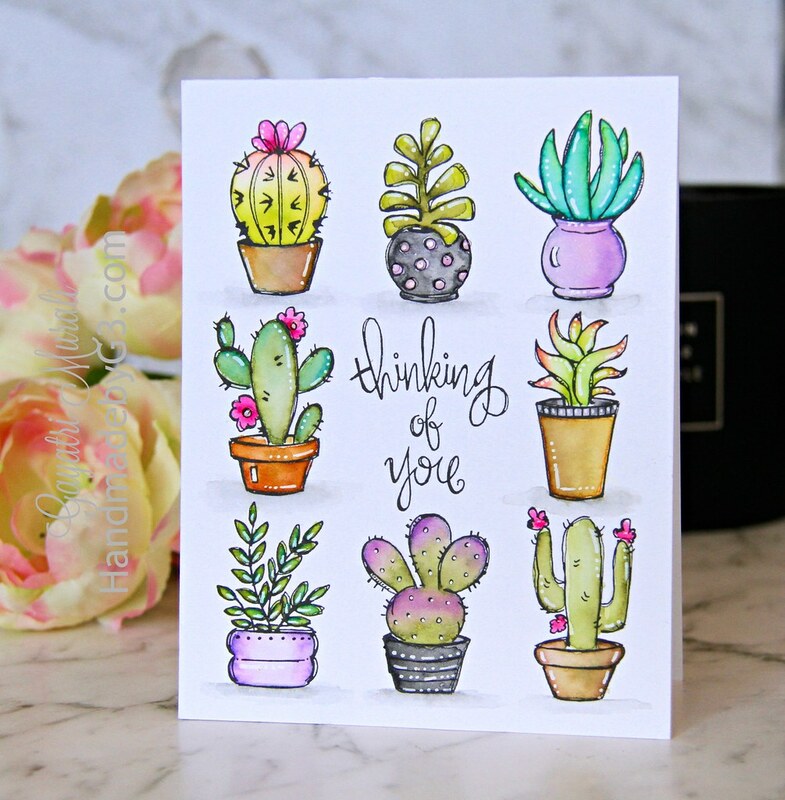 LOVE your cactus card! Such pretty colors!